The manufacturing process complies with SOPs as prescribed to maintain the standards. Adequate quality control measures are adopted. Quality control measures including IPQC are stringent. The manufactured products released for sale are of highest international quality. 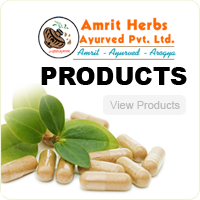 Copyright ©2015-2019 Amrit Herbs Ayurved Pvt.Ltd. All Rights Reserved.